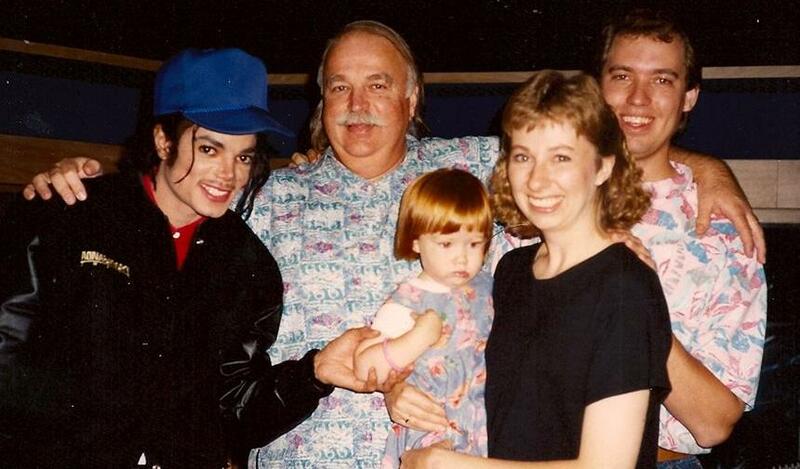 Michael, Bruce Swedien, my daughter Amanda, my wife Debbie, and me during production of the Dangerous album, 1991. Michael didn’t have much luck growing a mustache, but at least Bruce and I wore coordinated Hawaiian shirts. I remember one day Deb brought Amanda into the studio. She set up a play mat and brought some toys, and Michael sat and played with her for a while. He looked at Deb and said, “This is her own little world, isn’t it?